Enter the new phase of OKKULTOKRATI madness as the awaited third LP release is nearing. Pre-orders are up for the NIGHT JERKS 12'' now! Comes with CD version as well. 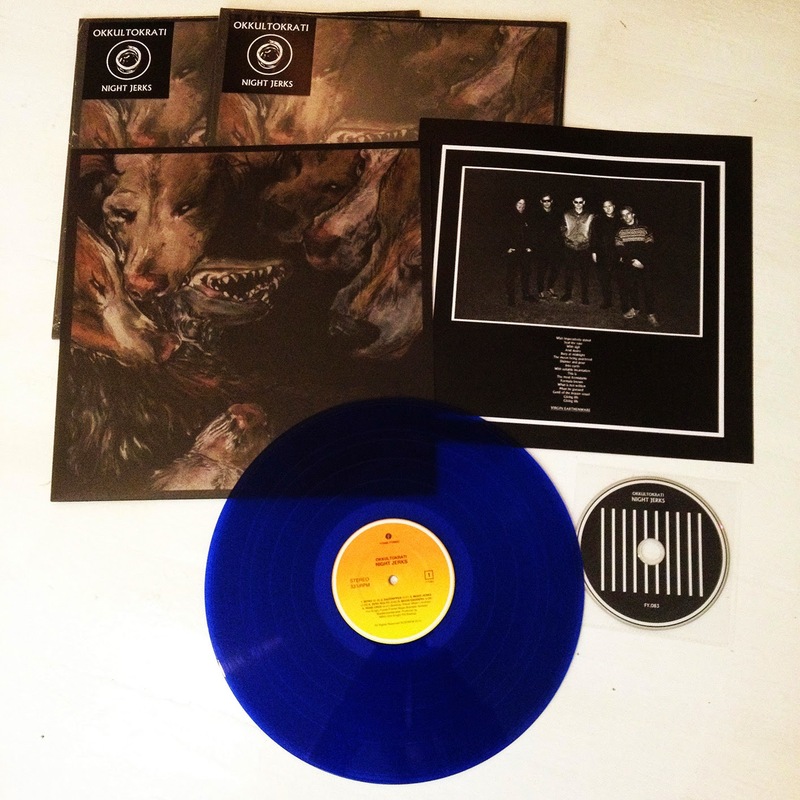 Blue vinyl is limited to 200 copies and will only be available from Platebutikken Tiger and the band on the upcoming tour. Black vinyl for the rest. Better be quick! Will ship out before July 27th.